in partnership with Horrornews.net, brought to you by the San Antonio Film Commission! 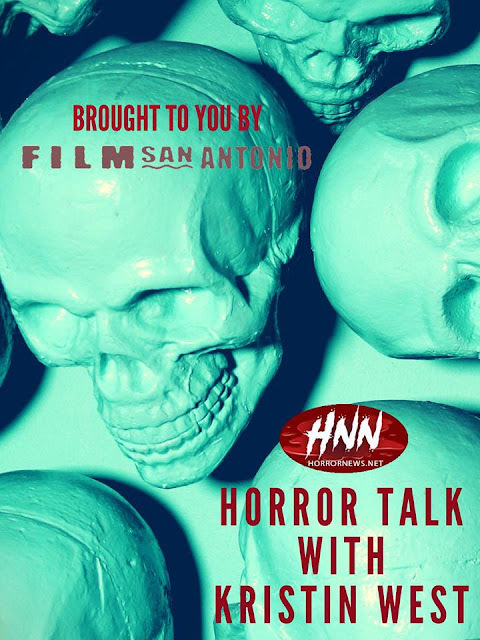 Horror Talk with Kristin West is THE talk show for the horror fan community. Horror’s top stars love chatting with horror actress & producer Kristin West on all their latest projects & more. Season Two Guests will include Dee Wallace (Cujo, The Howling, Red Christmas), Kevin Tenney (Night of the Demons, Witchboard, Tick Tock) and Alan Howarth (Big Trouble in Little China, Escape from New York). Producers on Season Two are Matt Chassin, Michael Joy & Armin Nasseri. Editing is being done now and on the way to your TV!